Free of parabens, pthalates, lauryl and laureth sulfates, the Luxury collection features Natural Hand Lotions ($35) and Natural Hand Wash Gels ($30) made with shea butter and Vitamin E to gently moisturize skin. The Naturals are also gluten-free and made with recyclable packaging. They are available in 5 scents: Lemon Verbena, Lavender & Violet, Oatmeal, Fresh Cut Flowers and Ocean. Each fragrance has tailored additives to soothe, condition and protect the skin such as green tea, pea protein, lemongrass and sea kelp. 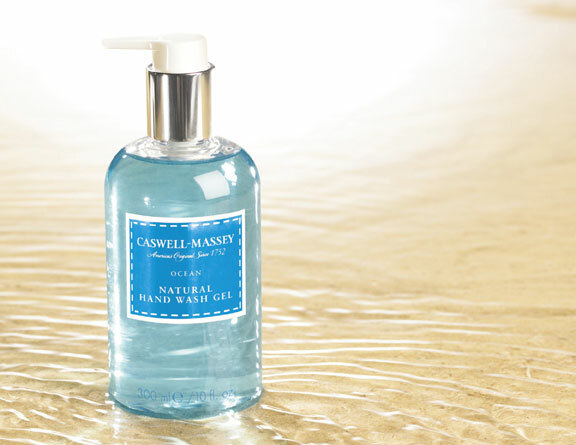 Founded in 1752 in Newport, Rhode Island, Caswell-Massey uses only the finest natural ingredients in their wide selection of soaps, lotions, gels, fragrances and accessories – all made in America. The company’s brands also include Dr. Hunter’s Original Remedies and Lucky Tiger.